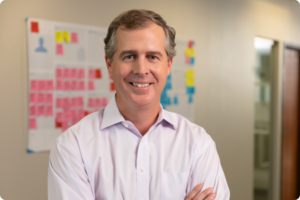 Shepley serves as Chief Product Officer with a deep history of working in the information technology and financial services industry. He has experience in strategic planning, product development, team building, account management, and software as a service (SaaS). Previously, Shepley led product development at Informa Investment Solutions (formerly Investment Scorecard, Inc). Shepley earned a BA from Sewanee, the University of the South, and executive certifications from the Booth School of Business at the University of Chicago and the Tuck School of Business at Dartmouth.